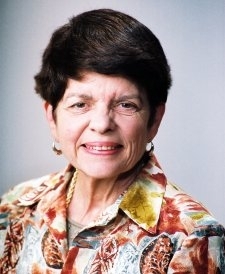 Alice M. Rivlin is a visiting professor at the Public Policy Institute of Georgetown University and a senior fellow in the Economic Studies Program at Brookings Institution. She directs Greater Washington Research at Brookings. Before returning to Brookings, Dr. Rivlin served as vice chair of the Federal Reserve Board and Director of the White House Office of Management and Budget in the first Clinton administration. She also chaired the District of Columbia Financial Management Assistance Authority. She was the founding director of the Congressional Budget Office and was director of the Economic Studies Program at Brookings. She also served at the Department of Health, education and Welfare as assistant secretary for planning and evaluation. In February, 2010, Dr. Rivlin was named by President Obama to the Commission on Fiscal Responsibility and Reform. She also co-chaired, with former Senator Pete Domenici, the Bipartisan Policy Center’s Task Force on Debt Reduction . Dr. Rivlin received a MacArthur Foundation Prize Fellowship in 1983 and the Moynihan Prize in 2008. She was named one of the greatest public servants of the last 25 years by the Council for Excellence in Government in 2008. She has taught at Harvard, George Mason and the New School Universities and served on boards of directors for several corporations as president of the American Economic Association. Dr. Rivlin was born in Philadelphia and grew up in Bloomington, Indiana. She received a B.A. from Bryn Mawr College and a Ph.D. in Economics from Harvard’s Radcliff College. A frequent contributor to newspapers, television and radio, she is currently a regular commentator on PBS’s Nightly Business Report and the author or co-author of 10 books on economic subjects and fiscal policy.